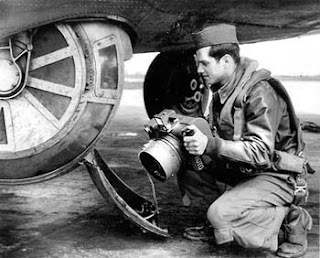 This documentary about the war photographers of world war 2 is narrated by Tom Hanks (and his hobo beard). 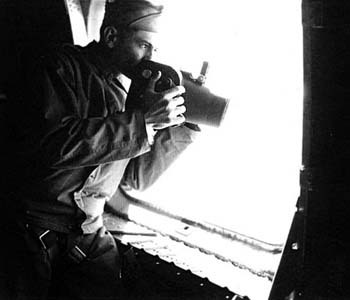 Photographic crews were sent out to document the war and the soldiers who fought so valiantly. 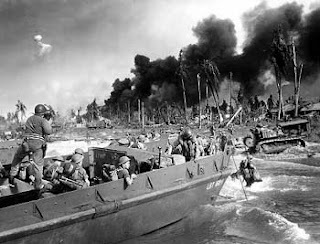 Only 1500 men were entrusted with documenting the entire war. Each crew had a stills photographer armed with a Speed Graphic and camera man armed only with a hand cranked 35mm film camera with one lens. 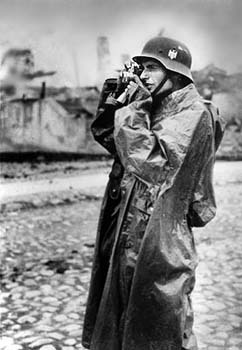 The brave photographic teams carried no weapons. 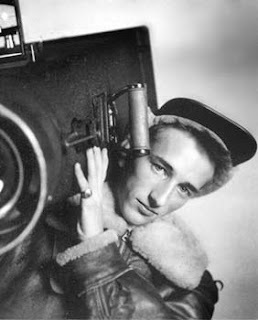 The documentary shows little of the stills photographers but very interesting none the less. 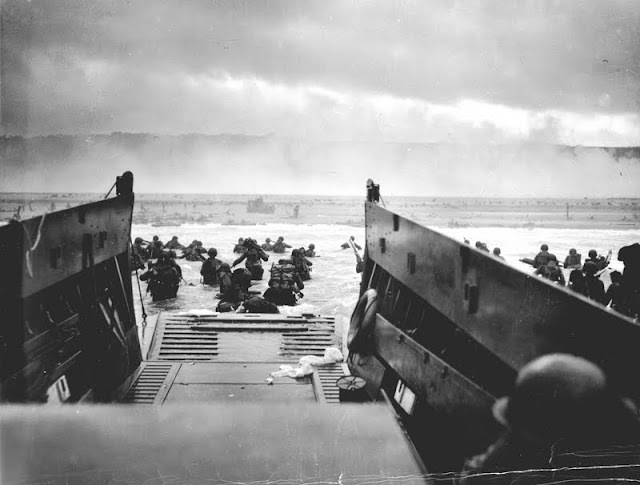 **Warning: Some footage is very graphic**. 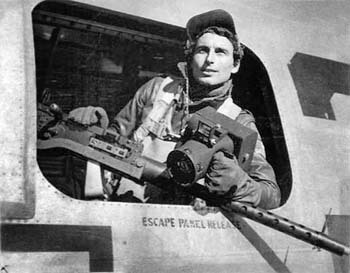 James Van Nostrand, 15th Airforce, Italy. 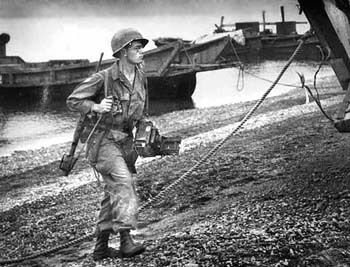 James R. Stephens with the U.S. Army Signal Corps Combat Special Photo Unit at Ormoc, Leyte, the Phillipines on Dec. 7th, 1944. Bill Rogister, ICCA cofounder, on Moratai in the Pacific with the 13th Air Force. James L. Lonergan, Coast Guard photographer, stands in the back of a landing craft that is unloading Australian troops in the first assault on Balikpapan, Borneo. 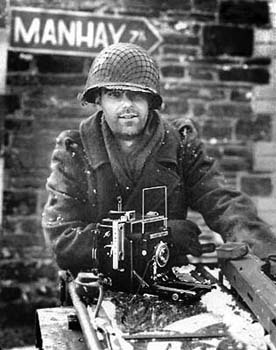 Seimon Paul-Jonel near the Ardennes and 7 kilometers from Manhay, Belgium on a cold winter day. 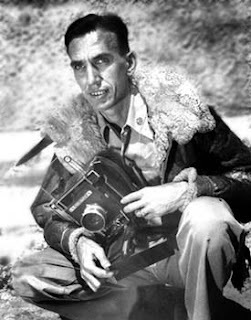 Tommy Amer of Merrill's Mauraders with Rollieflex and carbine behind enemy lines in Burma. 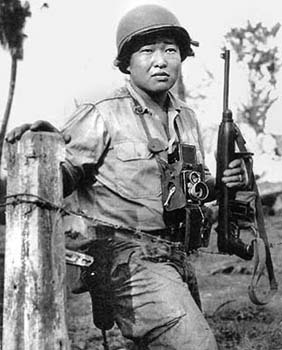 M/Sgt. Jack D. Glasco uses a K-20 aerial camera to photograph China from a B-24. Jerry Cole, U.S. 8th Air Force, 390th Bombardment Group. 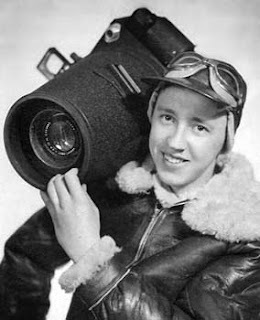 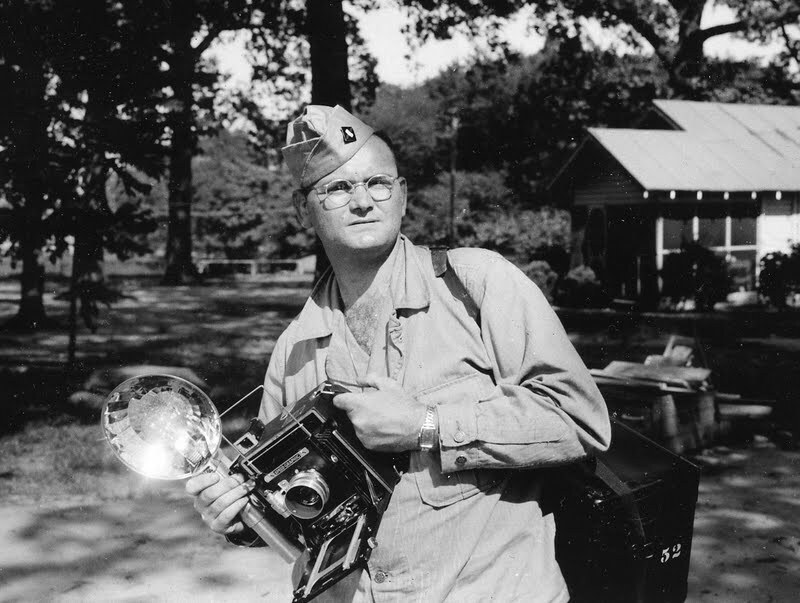 Burr Bennett, Jr. shouldering a K-56 aerial camera. 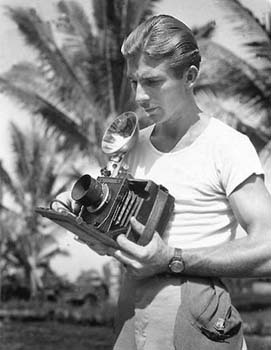 Warren Boecklaen, combat photographer in the Pacific theater of operations. 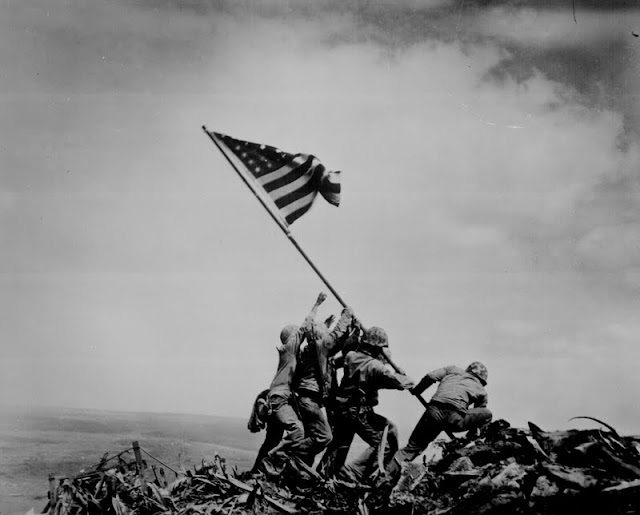 While there also those people who are just very interested in everything that happened during the World War two that is why they have photographs of important event during the war. For some people these photos serve as important collectible items that they can keep. These are vintage photos and it has a great value especially if you are really into collecting such things.